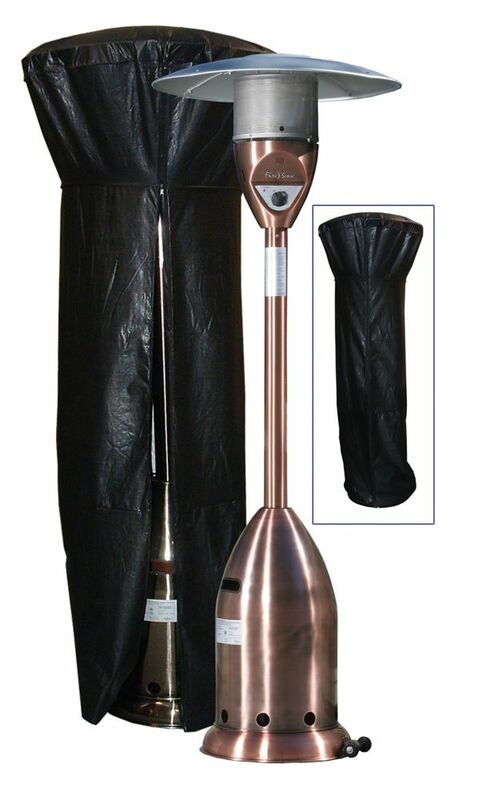 Full Length Outdoor Vinyl Patio Heater Cover Protect your investment. From Patio Heaters to Fire Pits, Paramount Vinyl Covers have you covered! These water resistant vinyl covers offer protection from the elements. For longest life, it is recommended to always store your outdoor heating units in a shed or garage during winter months when the units are not in use as some parts are more susceptible to damage due to extreme cold.